It’s budget season time again. The Washington Post and NYT have already published their obligatory stories on why we need to “reform” Social Security, Medicare and Medicaid, because if not, we won’t have hardly any money left to spend on military and discretionary programs. Fox and NBC stations this week said we must “deal” with the budget deficit caused by “entitlement spending.” Paul Ryan has agreed, and so has the Chamber of Commerce. Unfortunately, the White House sees this attack on the middle class as yet another chance to negotiate with Koch and company. In the midst of self-inflicted austerity talk, Republicans heartily approve of spending billions of dollars to raise the Earned Income Tax Credit (EITC), which currently gives up to $6,143 (tax free) each year to couples and families, who have have lousy paying jobs. Also in agreement are most Democrat lawmakers, who believe that EITC subsidizing business by supplementing wages is a kind thing to do for the needy. Looking down from the top, the “little people’s” dependance on the government for their livelihood is not demeaning and demoralizing, just curing social injustice of some sort. When the wealthy masters of both parties in Congress agree on a policy, it is often wise for the rest of us to duck. 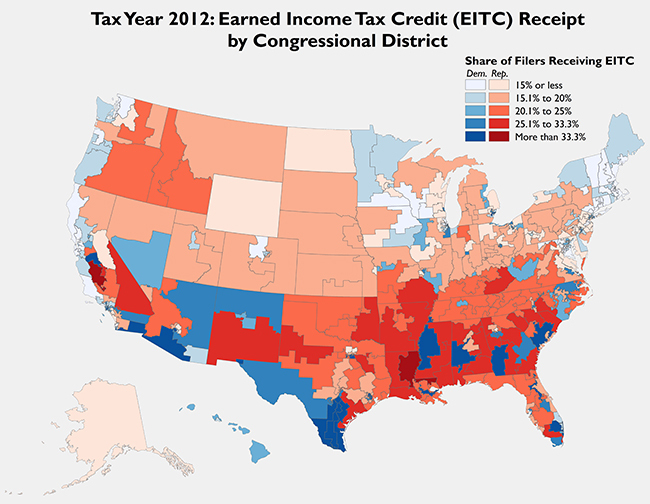 The GOP loves EITC, because it rewards employers who pay poverty wages. Under normal circumstances such wages would lead to bare subsistence livelihoods for workers, increasing turnover and encouraging unions and other “troublemakers” to end working for starvation pay. However, with the middle class taxpayers sending billions of EITC dollars to these underpaid workers, all is well for the employer, who knows the poor will survive to work another day, and the boss can continue to compensate workers below the level of subsistence. When will Democrats in the WH recognize that most benefits (food stamps, public housing, etc.) for the working poor are just subsidies to corporations, and that the solutions for reducing inequality must instead include higher minimum wages and more public benefits for all Americans – free college, free childcare, free healthcare and free nursing homes? Or do they already know this and have bowed to pressure from lobbies and campaign contributors. If you wonder which employers are gaining the most from EITC, the graphics here tell the story. 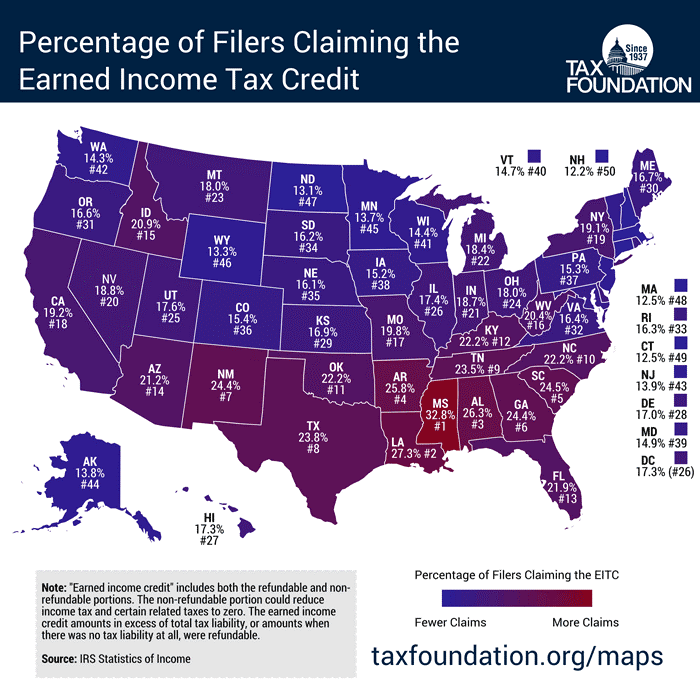 Most of the EITC recipients are from states dominated by austerity advocates, right to work laws, and generally low wages. If you got rid of the payroll tax, that would lead to an increase in take home pay for employees. No payroll tax – eventually no Social Security – just welfare for the old. Even if there was no Social Security, people would have a lot of money in retirement savings. You also claim that the Fair Tax benefits only the rich. Clearly, you are being spoon fed propaganda.